One-room schoolhouses are one of Montana’s greatest legacies from its earliest years. 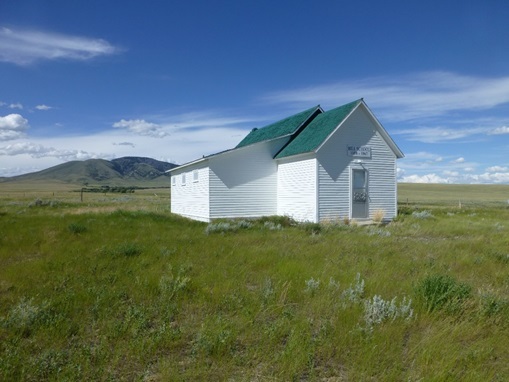 Schoolhouses are familiar structures from Montana’s rural landscape and are deeply intertwined with our state’s early frontier settler years. Montana’s first pioneer settlers were miners, farmers, and other businessmen, and these men’s families quickly followed. The schoolhouses represent the growth of Montana communities as the state moved from a geographic, economic treasure to a place that thousands of people called home. Fewer than 20% of 2,700 Montana schoolhouses remain, and fifty schoolhouses remain in operation—more than any other state in the country. The precise number of remaining schoolhouses is unknown, but they are fading quickly. The Montana Preservation Alliance aimed to locate Montana’s schools and work with their owners and local communities to preserve them; this began with a survey of the state’s remaining schoolhouses. The History Foundation’s grant to the Montana Preservation Alliance enabled this non-profit organization to focus on the rural reaches of the state where help is most needed.